Powerful cinematography, insightful storytelling and engaging activites take center stage at the Philadelphia Environmental Film Festival April 5 - 7, 2019, on the Avenue of the Arts in Center City. Exceptional new features and shorts cover a wide range of styles and a broad spectrum of topics to entertain, inspire and inform about challenges facing our planet, along with films celebrating the beauty of the earth. The Festival hosts an opening night red carpet reception, special guests, a juried competition, moderated discussions with filmmakers and policy experts, a student film competition, and other special events. Tickets and more information here. It's finally here: Philadelphia Environmental Film Festival April 5-7th! 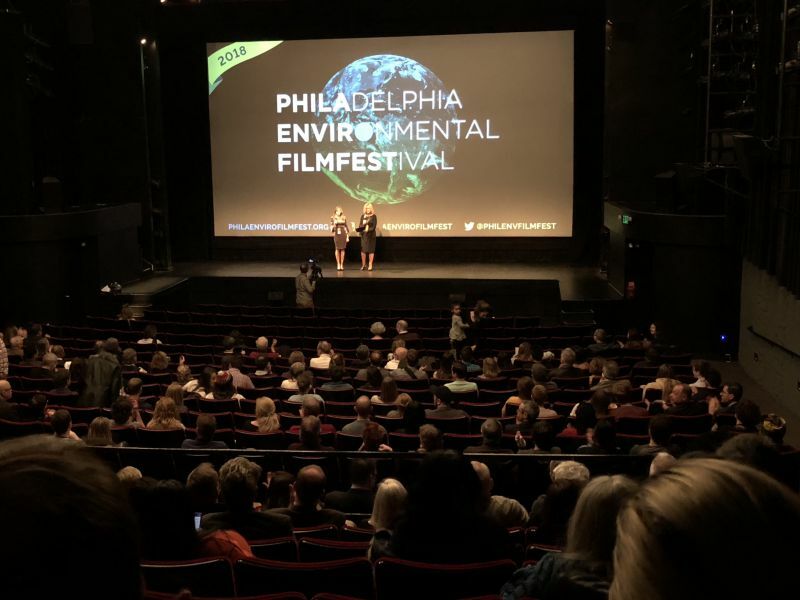 philaenvirofilmfest 2018 wrap, looking forward to 2019!